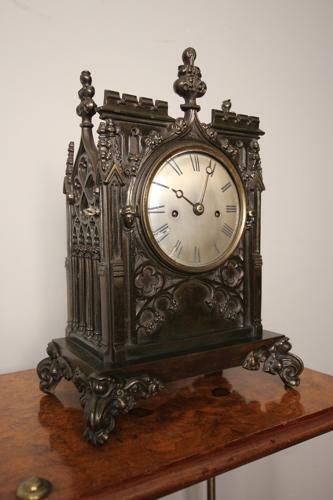 A superb mid 19th century bracket clock in the Gothic taste. The case having a wealth of detail, made in patinated brass with a wonderful bronze colour. Having convex silver dial with a narrow concaved bezel and convex glass. The double fusee movement in full working order with original fully adjustable pendulumn. English, circa 1850.